Evidence continues to increase around the practical and emotional benefits of carrying, both to parents and their children, which can be facilitated by the practice of babywearing, Among many other benefits, babywearing can help parents bond with a new baby, and facilitate both breastfeeding and the care of the baby’s older siblings. Babywearing also has benefits for society at large. Children are more securely emotionally attached and there is evidence of a link between the reduced incidence of postnatal depression and babywearing. 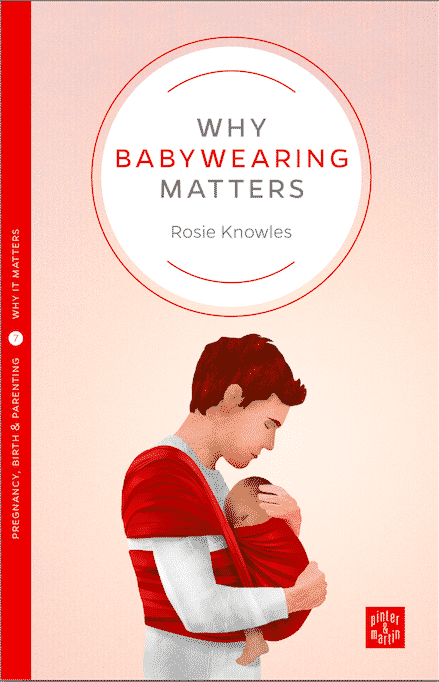 In this new book, Rosie Knowles explores all these advantages, along with the practicalities of how to use a sling and the history of carrying behaviour. She demonstrates how a clearer understanding of carrying, babywearing, and the attachment theory philosophy as a whole, can ultimately lead to a happier, healthier society. Published by Pinter and Martin as part of the “Why It Matters” series. The book has now been published in Polish as “Dlaczego noszenie ma znaczenie?” also available from Sling Spot.